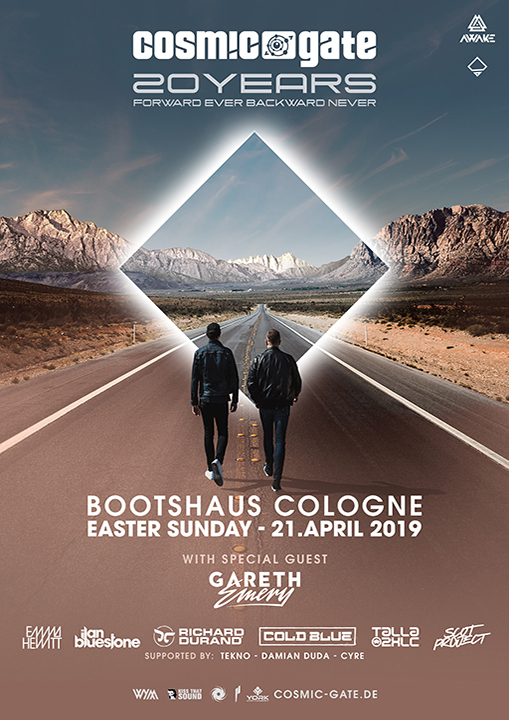 Cosmic Gate’s Cosmic Gate’s 20 Years Forward Ever Backward Never Tour – Bootshaus / Cologne / Germany on Easter Sunday, 21st of April 2019. Come and join us! Celebrate 20 Years of Cosmic Gate with us!